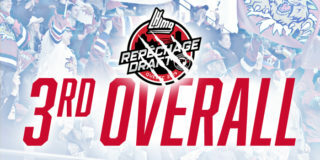 After a thrilling game seven win on Tuesday night to knock off the third overall seed, the Rimouski Oceanic, Moncton is now gearing up for the second round of QMJHL playoffs! 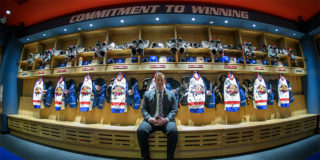 Finishing in 14th after the regular season, the Moncton Wildcats were most definitely the underdog headed into round one and most thought the series wouldn’t last more than four or five games, but the Wildcats proved everyone wrong. 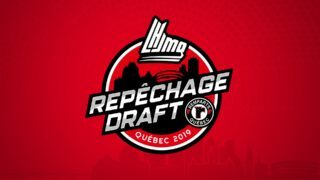 Now with round one under their belt, some moment and confidence built, they will look to ride that into the second round as they face the first overall team, the Blainville-Boisbriand Armada. No doubt it will be a tough series, and a battle every night on the ice, but Moncton fans have a lot of confidence in their group after witnessing their performance in round one. The Armada took on Val d’Or in the opening round and swept that series four games straight. Their goaltender Emile Samson was in nets for all four wins, finishing the round with a 1.47 GAA and a 0.930 SV%. They also have some heavy hitting forwards the Cats will have to be on the lookout for, to try and take away space and limit their scoring. Alexandre Alain, Drake Batherson and Alex Barré-Boulet have all racked top numbers for their team in the opening round series. Alain with five goals, Batherson recording five points in four games, and Barré-Boulet had a point per game. With the Armada’s first round finishing early on March 28th they have been sitting for a full week now, which could work to Moncton’s advantage in game one tonight. 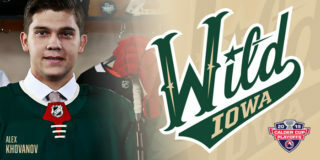 Your Wildcats are carrying the momentum from game seven Tuesday and will look to come out strong tonight firing on all cylinders early in the game. A lot of players have stepped up this series and the Wildcats are seeing strong performances from the entire group. Brady Pataki and James Phelan are tied for the post-season scoring lead among the group, each with four goals. 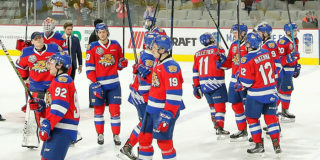 Wildcats Captain Nick Welsh is leading the group in points with seven, Miromanov and McKenna both have six, and Moncton’s rookie sensation Jakob Pelletier had two goals and three assists in the series. A key factor in the first round win for Moncton was goaltender Mark Grametbauer. He was sensational, leading the team to victory with a impressive performance, especially in the final two games of the series. Playing in all seven games Mark has a 2.62 GAA and 0.910 SV%. The first two games of this series are being nationally broadcasted on Sportsnet 360! If you are looking for the perfect spot to cheer on your Cats, Sports Rock Dieppe and Moncton will be hosting watch parties for both games – tonight at 8:00 p.m. and Sunday at 4:00 p.m. Bring your jersey, noise makers, and friends to enjoy some great food and great hockey!